New Year’s is just around the corner, and that means hosting the last party of 2018. Our Pointe at Suwanee Station community members in Suwanee, Georgia, may want to consider these theme ideas. The mystery of not knowing precisely who each guest is under their face-covering disguise can be quite intriguing. 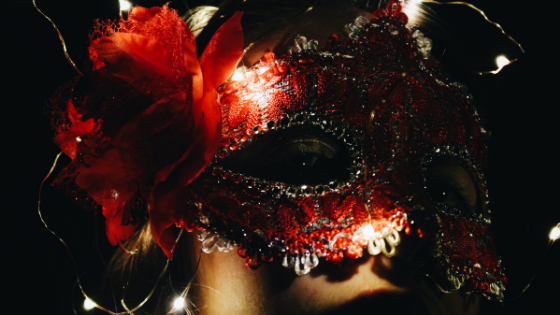 This theme offers hosts an opportunity to give out prizes for most masked or best costume and then have everyone bring in the New Year by taking off their disguise as the clock strikes midnight. It could be quite memorable. The end of the world Millennium prophecies came and went, and we’re still here. With that milestone nearly two decades in the rearview, it’s a good time to revive an end of days theme party. This time, lean on the food by serving recipes that are “to die for.” Offer “To Die For” desserts, punch drinks, and snacks. The idea is to eat them now because 2018’s end of days is upon us. If you loved the EDM that peaked near the beginning of the century, this is a perfect opportunity to get nostalgic. EDM is pretty easy to play from your favorite music app, and most novelty stores sell black lights of every variety. Turn off the white light and party like its 1999. This theme tends to fly under the radar even though it invites some of the most unique and exciting costumes. If you are not in the steampunk loop, it’s a genre of historical science fiction that blends futuristic advanced technology with garb worn by Victorian era and Wild West personalities. Google it and start a New Year’s event on Facebook. Ask guests to come formally dressed in tuxedos, gowns, and anything amazingly formal in black and white. Set the tables and appetizer stations with white linen and just a dash of red here and there. This formal soiree is a nod to yesteryear and will be remembered for its elegance. We hope our Pointe at Suwanee Station community members enjoy these party theme ideas. If you or a friend would like more information about our Suwanee, GA apartments, call us today.